If you want to put individual type of clocks in your dash, but cringe at the cost, then how about these? These are out of a Capri, and look very smart when done. Mitch Gaynor's dashboard. Again using Capri clocks. I believe that the centre tunnel will be covered in red at the top to match. 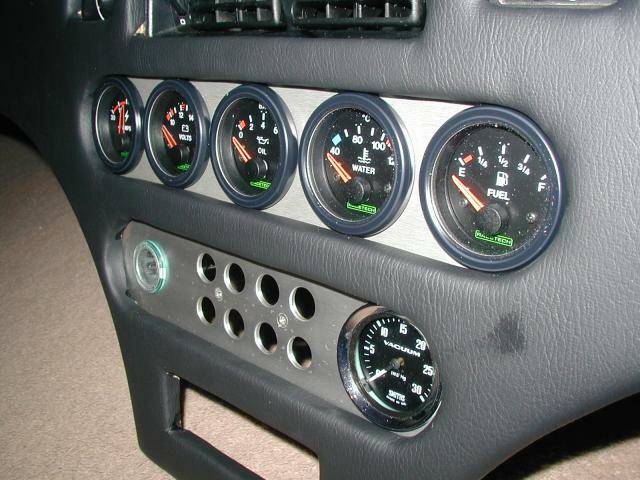 These are the clocks fitted to John Boyles "Beast"
A rather nice set up of smaller dials. 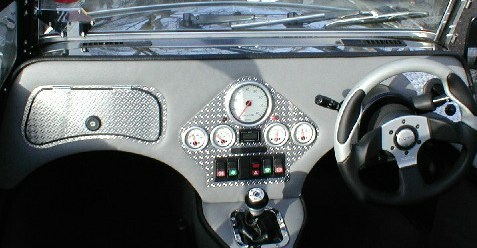 from Gordon Williams dash, it looks like the radio will go into the slot at the bottom. Another use of Capri clocks, this time from a Mr Page one of our RHOCaR members from down south. 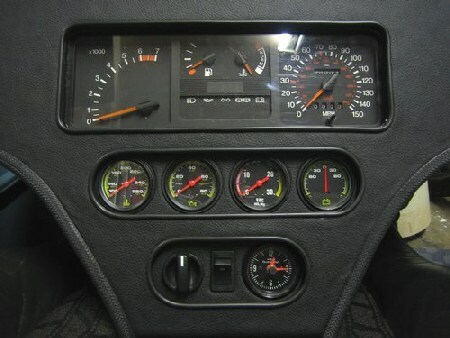 Nigel Duncans dashboard, notice the use of the 80mm main clocks instead of 100mm ones. Very tidy. Steve in Stockport's dash, the bottom edges were done by gluing thin foam (camping mat) over the edge, then covering the whole dash with it before the final covering. 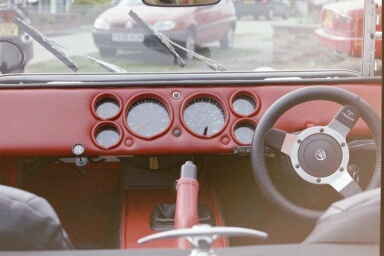 This is Rusty's dash, nice use of ally chequerplate sets off the white dials, topped off with a matching steering wheel. 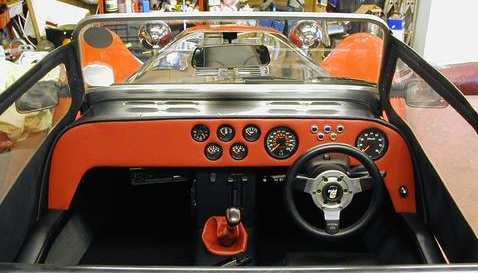 Again, this is a Superspec, and much nicer than the RHSC offering.